I spend very little time on Facebook because I find myself distracted and losing time because of interesting and inspiring videos and posts. One such post was a video about a little squirrel who had been rescued. Her arms had been caught in a trap, and she ended up needing to have them amputated. The man in Turkey who took her in named her Karamel. The YouTube video entitled “Rescue Squirrel Without Arms Makes Her Dad So Proud” follows her recovery, from her rescuers not knowing whether she would survive all the way to having a prosthetic that allows her to run and play outside. This little squirrel clearly had a will to survive. While many doubted her, she showed strength and determination. She overcame great obstacles, and everyone who sees her can see it! We can see her arms are missing. We can see her running around, strong and beautiful. Karamel’s story is inspiring, but the reality is that often in life, obstacles and the conquering of them are not always so visible, which leads to little appreciation of an individual’s will and efforts. This is especially true in the lives of foster and adopted children. The casual observer has no clue how their bodies have been damaged by the trauma they have endured. Because it’s not visible to the naked eye, people do not appreciate the fight they have to have to simply make it through a day. People view their behaviors as disobedience, defiance, and just downright brattiness without understanding the ways trauma has damaged their brain and neurological functioning. At the end of this past school year, I asked my daughter, Jasmine, if she would be going to the good behavior party and then tickled her knee and asked if she was invited to go. She exclaimed that she hadn’t even had a single “minor’s log” in all three years of middle school. I know she had never been in trouble in middle school because I didn’t even know that’s what whatever their behavioral infractions were called. She then said she was scared about high school. I teased and asked if she was scared she was going to all of a sudden become a bad girl. (I know…we don’t really use that terminology…I was just teasing, and she knows that.) We quit joking and went on to talk about her real concerns, and I told her she has come a long way. Her teachers would think I needed psychiatric help if I told them what a typical school day was like her first three years of elementary school. At my son, Matthew’s graduation party, a family friend made the comment that Jasmine had grown up so much and that she could not fit in a backpack anymore. Huh?? What? I thought it was a weird comment until the individual gave the context of picking Jasmine up from school (probably 1st grade) after getting a call that she needed to be picked up because of her behavior, and neither Darren nor I could go get her. When this family friend entered the classroom, Jasmine was trying to hide under a desk inside her backpack. As caregivers, we need to find ways to REMIND OURSELVES of our children’s progress, whether it be through journals, photo journals, or something! When days are rough, or we are aggravated by an ongoing issue, we can look back and gain some perspective. We need to PRACTICE SELF-CARE. Compassion fatigue, where one is continually in the fight with a person and gets worn out and starts to lose their sense of empathy for the person’s experiences, is very real. Once we have compassion fatigue, we lose perspective on the why’s of a child’s struggles and just become angry and aggravated with the child and not the situation. We lose sight of the why’s of our journey and our goal to help and come alongside the child as a member of their team. We need to educate ourselves on how our children have been impacted by their past, ACKNOWLEDGE it, and be willing to be life-long LEARNers, ADAPTing to new ways of parenting and guiding our children. Finally, we have to ADVOCATE for our children. We have to continually EDUCATE those in our child’s lives about the impact of trauma, the fight our kids have to have to survive, and just how amazing they are! Mariana is not like the other mermaids. Abandoned by a careless mother on the ocean floor, she has never laughed or played, she can’t sing and can barely even swim. Then she meets a turtle called Muriel, who welcomes her into her family and shows her all the things she can do. The target audience of this book appears to be the general public and targeting children ages 4 through 9 years old. 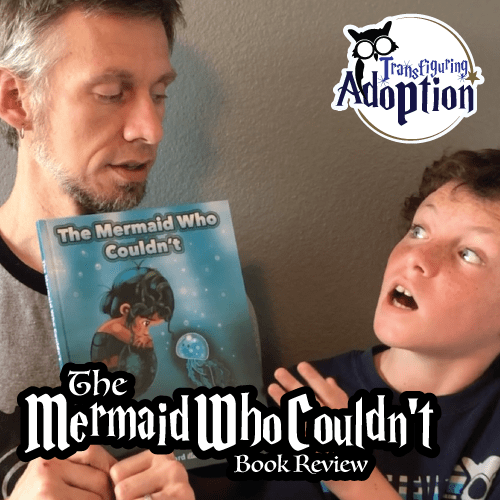 With the current popularity of mermaids children younger and older could be read this book – though children younger than 4 will more than likely not be able to see the comparisons which can be drawn from the story and the foster care or adoption world. 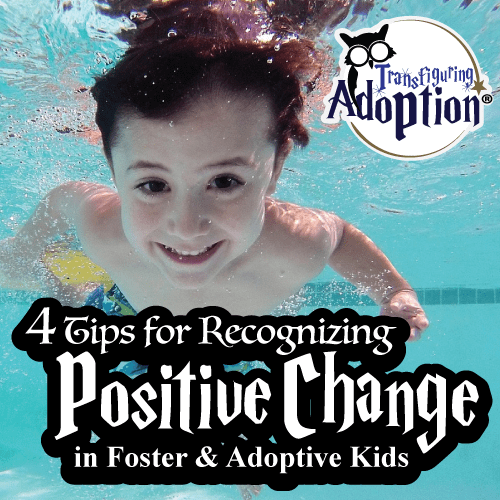 Even though this story may not have been written directly to foster and adoptive families, the theme of self-confidence and self-worth is one that foster/adoptive children deal with in a large way. 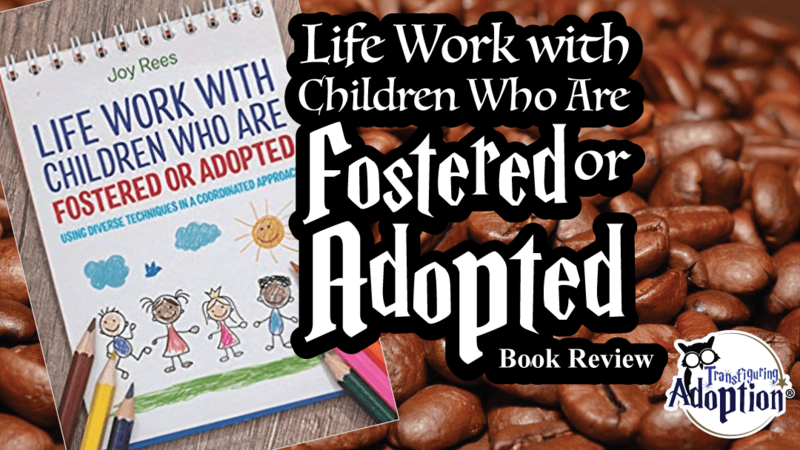 The author, Ali Redford, is herself an adoptive mom and knowledgable on this theme from a caregiver’s perspective. The illustrations of the story are quite rich and full. They will surely transport your family into Marianna’s world. The images help children to discover emotions and thoughts that are being conveyed in the story. It seems that the images really help a family move through a well-told story and tackle some abstract thoughts/emotions. Caregivers will appreciate this story as it showcases a turtle named Muriel, who acts as a foster or adoptive mom to the little mermaid, Marianna. The book does a good job of portraying Marianna before Muriel takes her through a process of improving her self-confidence, as well as doing a good job of showing that Marianna may have touches of feeling unworthy from time to time even after going through her journey. 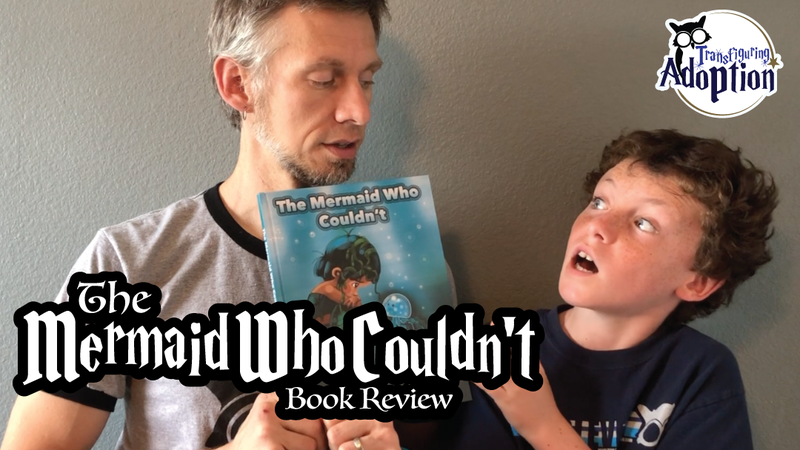 Overall, Transfiguring Adoption finds that this book will be an entertaining story for your family to enjoy. Our grading system requires a piece of media to directly address foster or adoptive families in order to get a perfect score, which is the only reason why the story did not earn a perfect score. 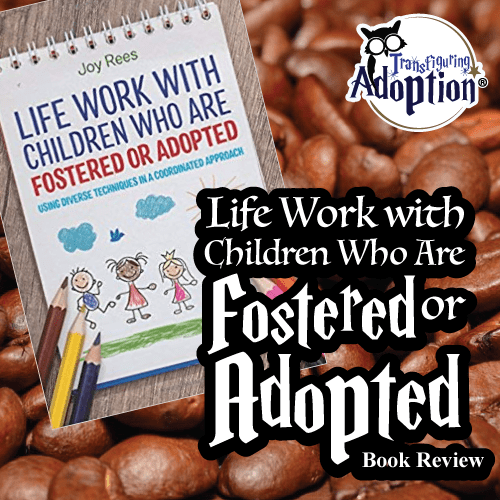 This story is in fact a powerful tool which can begin needed and healthy conversations with your foster or adoptive children. Your family will do well to purchase this resource as a way to bond and connect with your child. What were things that scared Marianna? What did Muriel do that made Marianna feel loved? What does Marianna do when she starts to feel bad about herself again? Do you ever feel bad about yourself? Why? Who are people that remind you about how special you are when you feel bad about yourself?